Selling Your Book Online: The "News" in Self-Publishing is all DIY, not "done-for-you". The "News" in Self-Publishing is all DIY, not "done-for-you". Self-Publishing is the new model which is far more profitable than traditional-publishing lock-step hobbles. 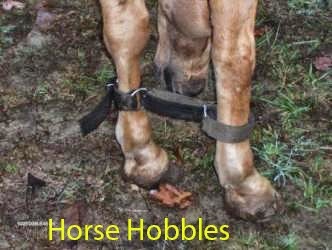 Hobbles are used on animals to keep them from wandering. They're usually put on the (front) feet and are uncomfortable. The model for traditional (legacy) publishing similarly limited the independent author, in many ways. Because books had to be printed before they were sold, and the only profit was in huge print-runs, only a few books could be selected which would seem to be able to pay back at least the cost of printing. Statistically, about 1 in 10 of the publisher's selections would pay enough to cover the losses from the other 9, plus make a profit. With Print-on-demand, and ebooks, this model is completely reversed. Now the market decides what is a good book and what will sell. I recently ran into this with Amazon. My trade paperback version of an ebook I edited together was being promoted as "only 5 left!" But what they didn't say is that they'd order another short run if they needed, and a larger run if it sold well. Because the book was only printed on demand, not in advance. 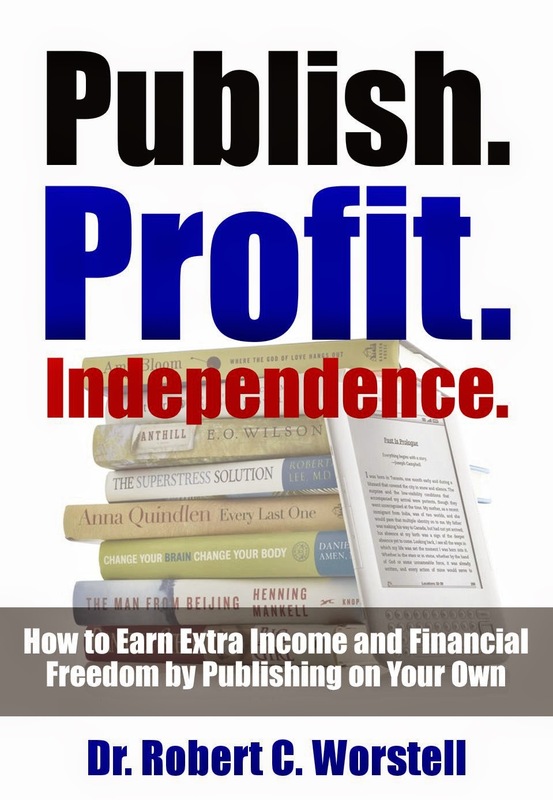 eBooks, of course, aren't "printed" at all - so it's a classic way to earn income without having to spend much more than a few hours of your own time. This is what is the new "news" in publishing. When you get a traditional publisher, you are just tapping into their ability to set up a better cover, better proofing, and whatever existing distribution lines they have, plus promotion deals they might set up. The surprising news is that the ebook distributors will take care of marketing your book with their own on-site algorithms. Each new book has it's limited time in the sun - after that, it's sales will depend on how well it was written. Let the market decide - don't second-guess. One fact which showed up in the recent studies about copywriting is the common "conventional wisdom" that you can "create demand" for any product or service. Gene Schwartz was clearest in his "Breakthrough Advertising" (long out of print) where he stated that desires are eternal - you simply align your product to the most powerful desire you can. There is no such thing as creating demand. Demand already exists, depending on the maturity of the market and how many also-rans are present (ie. "competition"). Your marketing (copywriting) only aligns the perception of your product with an existing desire (demand). The better your copywriting/marketing, the greater the "discovery" - and the better your product, the more a user/viewer/consumer will tell others how it helped them. That is really the core of how marketing works. Is there any real need for traditional publishing any more? I'd say that there is a need for marketers who can create campaigns to launch new books and re-launch book series, that these small companies could provide the service of publishing an author's books for them. They do have to build an online presence, but their growth is more dependent on their quality of delivery than any physical condition of existence. Practically, a well-run publishing business can run rings around any of the "Big Five" publishers, because they simply don't have the overhead. The "Everywhere else, also" strategy says to get your ebook up on iTunes, Nook, GooglePlay, and Kobo, while matching this with a Lulu paperback and an Audible audiobook. You are still on Amazon, just not exclusively. The "And Then Some" strategy has you branching out with bundles which you offer on affiliate sales platforms. In this case, you offer digital versions of the entire series, plus audiobooks (you are now not exclusively on Audible, or create a different version just for these.) This also has you getting accepted by OverDrive as part of their Content Reserve program - which can push you into libraries and other retailers where Amazon might not be as welcome. Note: the SOHO publisher, with dozens, if not hundreds of titles to publish, can leverage the OverDrive connection - which a self-published indie author and his handful of titles cannot. The SOHO publisher also has the economies of scale - having already published that many titles, it's relatively easy to publish the half-dozen books an indie author will bring their way. In any Gold Rush, the people who made the most money sold picks, shovels, pans, and jeans to the miners. You have to realize in publishing that most books don't sell well, if at all. Period. Striking a good vein is more than luck - it's hard work that the author has to do in honing his craft. Good books continue to sell well. Poor books fill up Amazon's database. For a writer to make it with original works, they have to stick at writing for a few years, and concentrate on simply creating the best possible books they can. Amanda Hocking became a million-selling (and millionaire) author after she had already written 17 books and started self-publishing. Once she got popular, she got a traditional publishing contract which allowed her to concentrate on just writing. What an indie author needs is someone who will publish their books for them, and take a piece of the royalties for a certain time period (say, 5 years) with a low up-front fee to cover costs. The SOHO publisher then is interested in the various marketing campaigns (again, mostly online) which will then get that book to sell. The author doesn't have to worry about sales. They need to concentrate on their day job to pay their bills, while spending all their free time in writing and improving their craft. They hire the SOHO publisher to do the background work of publishing (proofing, cover, pushing to distributors, creating bundles) so that author can simply concentrate on the two things they need to worry about. Once their books start to sell enough to support their lifestyle, then the author can renegotiate the contract for royalties. Where the SOHO publisher is doing their job well, they'll keep that contract going and be able to concentrate more effort into expanding whatever marketing they have going to further increase sales. Win for the indie author, win for the indie SOHO publisher. The SOHO publisher is affordable, as they take a much smaller percentage of royalties than the traditional publishers have. The author would end up with probably about 50% - 60%, compared to about 25-30% in the traditional-legacy publishing scene. The indie author pays someone else to do the self-publishing work he/she could be doing on their own. Getting a SOHO publisher to take that drudgery off their lines would enable them to concentrate just on writing. The old days (and these slick operators still exist) had the author shelling out a small fortune and would wind up with a stack of books delivered to their home which they then had to sell. Thoreau did this, but also Wil Wheaton caught this bug. The modern days says you go virtual. Get print-on-demand for your print books, while the ebook is out there forever. Invest the profits from these into producing an audiobook and leverage your original content into greater income. The author in this case pays someone to line up proofing and cover artwork, then to do the detailed work of publishing to the various online distributors. As well, the author doesn't have to learn how to publish their own book, or how to market online - but simply can keep to the craft and job of writing. Vanity publishing gave you a stack of books. SOHO publishing gives the author more freedom to be creative. The vanity publisher was paid for short-run publishing. The SOHO publisher is paid for the effectiveness of knowing and executing online marketing. Of the two, the SOHO publisher has less overhead and so a much greater opportunity for profit. Entry-level costs are much lower than any vanity press, but with the right contract, will then be able to ensure future profits while being creative in a different realm of marketing. Your choice, as always. Stay hobbled or get free to roam. And do sign up on the upper right so you get the latest installments of this blog.